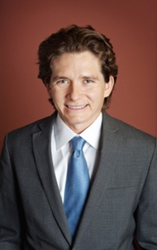 Attorney Leighton Rockafellow Jr., of the Rockafellow Law Firm, completes second year as treasurer of the Young Lawyers Division of Pima County Bar Association. One of the primary reasons I became treasurer is because of the charitable aspect of the position, and to play a larger role in the wonderful services the group provides to the community. Leighton Rockafellow Jr. is proud to announce he recently wrapped up his two-year tenure as the treasurer of the Young Lawyers Division of the Pima County Bar Association, but will stay on the board for another year. 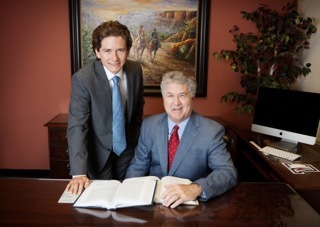 “One of the primary reasons I became treasurer is because of the charitable aspect of the position, and to play a larger role in the wonderful services the group provides to the community,” said Rockafellow Jr., who practices personal injury and medical malpractice law in Tucson with his father, Leighton Rockafellow Sr. In fact, the Young Lawyers Division hosts an annual holiday party where they raise money for St. Nicholas of Myra Center, which provides an array of child welfare services to children and families in Pima, Pinal and Gila Counties. St. Nicholas Center also recruits and certifies adoptive families and finalizes adoptions. Rockafellow Law Firm focuses on personal injury, wrongful death, medical malpractice, and associated insurance law, including bad faith and insurance breach of contract. The two injury lawyers at Rockafellow Law Firm have a combined 46 years of experience helping victims of negligence. For more information, please call (520) 750-1800, or visit http://www.rockafellowlaw.com. The law office is located at 2438 East Broadway Blvd., Tucson, AZ 85719.